When I first started learning the game of golf at age 16, I spent many hours searching the internet for resources, practice drills, routines to follow, and other golf training material, desperately looking for secrets to help me succeed quick! But I couldn't find much and what I did find wasn't great content in my opinion. Once I became a scratch golfer, scored under par multiple times, and notched a few tournament wins under my belt I felt confident sharing my knowledge and experiences with others to help them improve their golf game too! I decided to create the ultimate golf resource library that golfers of all skill levels could get access to and use the materials to improve their game. Once you buy a membership, you'll have lifetime access. Log in any week or month and review our latest resources, tips, lessons, and drills we've added to the membership community. Download all the practice programs and fitness training materials included with your membership. Sound pretty good? Our free content is better than most golf sites paid content. So you can imagine how hard we work to step it up and create the best premium resources for you inside the members vault that are effective at improving your golf fundamentals and ultimately your golf scores. I promise you, these golf resources will change your perspective of the game and help you practice smarter and make improvement much faster than trying to do it all on your own. It's a resource library I wish I had access to when I first started learning how to play golf as a 120+ scorer for 18 holes. Download the 21 Day Practice Plan PDF which lays out drills to complete each day for the next 3 weeks. Track your stats and once you complete the 21 day plan, go back through it again trying to increase your scores and see improvement. Hit the gym and perform these golf specific exercises to build stability and power in your golf swing. Improving your physical fitness will also help in preventing injury and can add muscle definition to your physique, making you look good in your golf attire. Forget walking the treadmill to lose weight. Why not shape up your body by playing golf, a much more fun alternative for getting exercise and being active. Learn the nutrition you should be fueling your body to help you perform on the course, add muscle to your frame, and shred fat off your core. An easy to follow eBook full of golf specific stretches to improve your flexibility and help you prevent injury. Each stretching exercise has step by step instructions plus a photo example. Use these stretches to add distance to your golf swing. 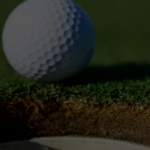 Join our golf Facebook group and get ready to hangout online with other like minded players who have tips, questions, and answers to share with everyone. Feel free to share any knowledge with the group or fun golf videos, quotes, articles that you find online. Under the website menu column "Members Vault" you can access specific categories of content to help you improve your golf game. For example, find all the latest swing tips under the Golf Swing tab. Or get more specific by going to our Swing Faults tab and find solutions to your problems. This is truly an awesome resource to have access to with lots of great tips to be read. There is so much content we've created and new programs we've launched each golf season that it all can't be listed here today. Plus, don't forget you will have access to all the new content coming soon to the members vault! These Practice Plans are my step-by-step program and online community where I’ll teach you my highly effective Golf Practice SYSTEM, so you can stop spinning on that hamster wheel and start improving your golf scores, fundamentally and QUICKLY. This is the same system I would use to break 80 in golf if I started over again as a brand new player like when I was 16. Our price is very fair and we even think it's cheap. The amount of value you are getting would cost hundreds if not thousands by most PGA instructors. Take advantage of our generous pricing today and get LIFETIME access upon purchase. P.S. Our price is very fair and we even think it's cheap. The amount of value you are getting would cost hundreds if not thousands by most PGA instructors. Take advantage of our generous pricing today and get LIFETIME access upon purchase to all golf training programs we've launched + members resource vault. Don't miss out. 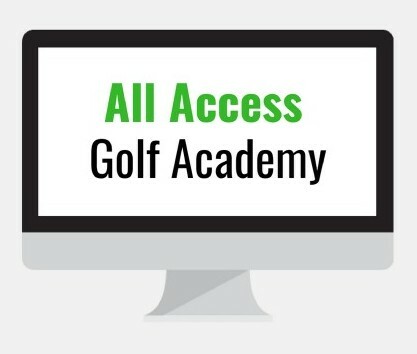 You have 30 days (more than enough time to take a look through all the content and begin implementing it to see if The Foy Golf Academy Membership + Resource Vault is the real deal or not. If you ever feel it isn't worth your money, let me know and I will issue you a full refund. To date we've had 1,000+ satisfied members and I'm sure you will be too!